It’s Wednesday at the AAS! This morning, I got a fascinating look deeper into the nature and environment of the mysterious fast radio burst FRB121102 — the only known repeating fast radio burst to date. I also had a chance to speak with a team member working with the Thirty Meter Telescope to hear more about the challenges this project has faced, and those it has yet to overcome. 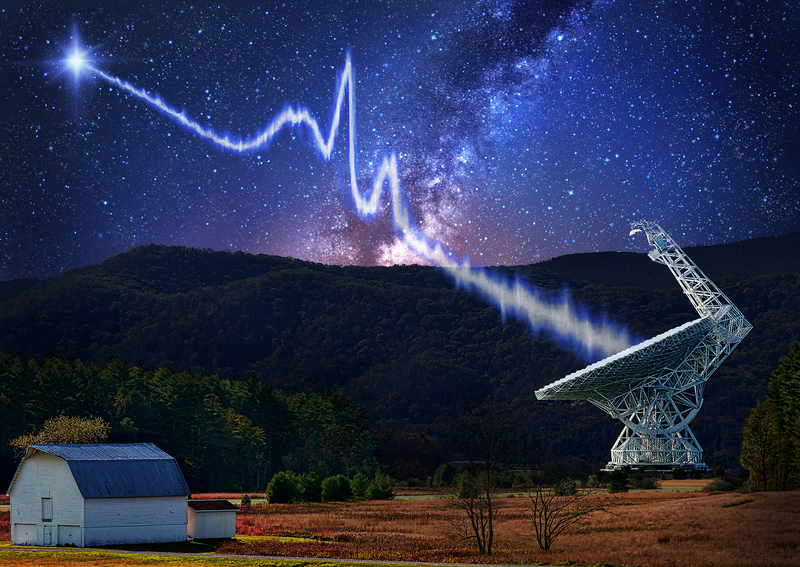 Fast Radio Bursts, or FRBs, are brief, bright flashes of radio energy from extragalactic sources. They are hard to study because they’re so short and they don’t repeat, except for one. The repeater, as it’s known, offers a window into the nature of these objects because it repeats, allowing for multiple and higher-precision measurements of this source. It has, for example, allowed astronomers to pin down its location to a dwarf galaxy over 3 billion light-years away. It’s also sitting conveniently close to a source of persistent radio emission… Coincidence? There is of course always a chance, but hopefully not! At this morning’s press conference, we heard from a number of researchers working to tell the tale of FRB121102: Betsey Adams, Andre Seymour, Vishal Gajjar, Daniele Michilli, and Jason Hessels. 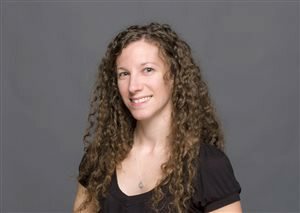 Their results include information about the shape, structure, and length of the bursts this FRB issues. 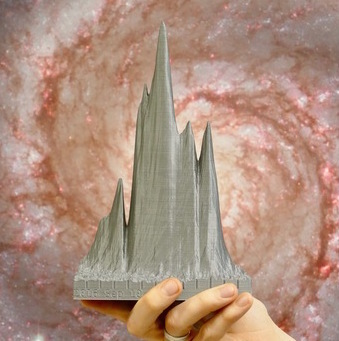 In fact, you can now 3-D print your own copy of a burst from this source, with accurately rendered peaks and dips, from data taken with the Puerto-rican Ultimate Pulsar Processing Instrument at the Arecibo Observatory. Based on the duration of the bursts, some of which are only about 30 microseconds, the source itself must be small — only about 10 kilometers across, which is conveniently the size of a neutron star (which was already the likeliest candidate). We also learned that the polarization of the signal is extremely “twisted,” which may hold clues about its environment, which must have strong magnetic fields responsible for twisting it in the first place. The persistent radio source near the burster is also a likely clue. Currently, the best theories state that this repeater is likely a neutron star bursting from either the region very near its galaxy’s supermassive black hole, or from within its own extremely bright, young nebula. These ideas still remain theories, but within the next few years, we may finally begin getting some answers as more FRBs are recorded and more is learned about their origins and environments. Hessels noted in response to a question that FRB121102 is the only repeating burst, and that it perhaps doesn’t represent the rest of the class of FRBs. It’s still hard to tell, and only more data and more discoveries will hold the answers. Fortunately, astronomers estimate that about 10,000 of these go off every day, resulting in one about every 10 seconds. As radio telescopes become better able to catch these events, those answers may be just on the horizon. The afternoon press conference was a smorgasbord of science topics, much like yesterday’s, covering comets, galaxies, and an astronomer’s legacy. It was at this session that NASA announced to us that the Swift Observatory, which revolutionized our understanding of gamma ray bursts and continues to be a go-to tool for astronomers, is now the Neil Gehrels Swift Observatory, renamed in honor of the mission's late principal investigator, who passed away in early 2017. Dennis Bodewits spoke about using this observatory to discover that the rotation rate of Comet 41P/Tuttle-Giacobini-Kresak is rapidly slowing, from just 20 hours in March 2017 to between 46 and 60 hours in May 2017. Strong jets emanating from the comet’s small (~1 mile) nucleus are likely the cause of this sudden slowdown, and 41P may represent a particularly active and tumultuous phase in a comet’s life, as activity causes it to change rotation rates rapidly. Jay Lockman discussed results from the Green Bank Observatory observing hydrogen clouds drifting in the wind of the giant Fermi bubbles emanating from the center of our galaxy. The origin of this hourglass-shaped structure of hot gas remains unknown, but the new observations show that it could potentially be powered by supernovae in the galactic center. Tracing the motions of the clouds shows a cone of gas about 10 million years old, expanding at about 330 kilometers per second. Lockman and his colleagues did this by watching the motion of hydrogen clouds caught in the bubbles’ wind, much the same way you can “see” wind patterns on Earth by tossing a handful of dust into the air. Christopher Russell showed a new way to visualize the Milky Way’s center: a 360-degree video, made using X-ray data from Chandra and other telescopes, viewable on your computer, smartphone, or VR goggles. In it, you are the supermassive black hole at the center of our galaxy, and stars and hot gas orbit around in all directions. I can’t wait to try this out! Finally, Renske Smit shared ALMA observations of two extremely young galaxies in the early universe, about 800 million years after the Big Bang. ALMA’s unique capabilities allowed astronomers to not only identify these galaxies, but also to see the motion of the gas inside them — the first time gas motions have been measured in galaxies so far away. And these galaxies appear surprisingly mature, with disks that are dominated by normal rotation, just like the galaxies we see today. But the early universe was a turbulent place, with gas coalescing onto galaxies and young stars dying spectacularly as supernovae often. So now the question becomes, did early galaxies simply evolve faster? There are models that support this, but more data is definitely needed. There have been so many amazing results released in the two days of press conferences I’ve attended so far; I’m definitely looking forward to going into more detail on some of these releases once I return to Astronomy’s offices. In the meantime, it’s now time to head to the exhibitor hall to check out some posters, booths, and more.